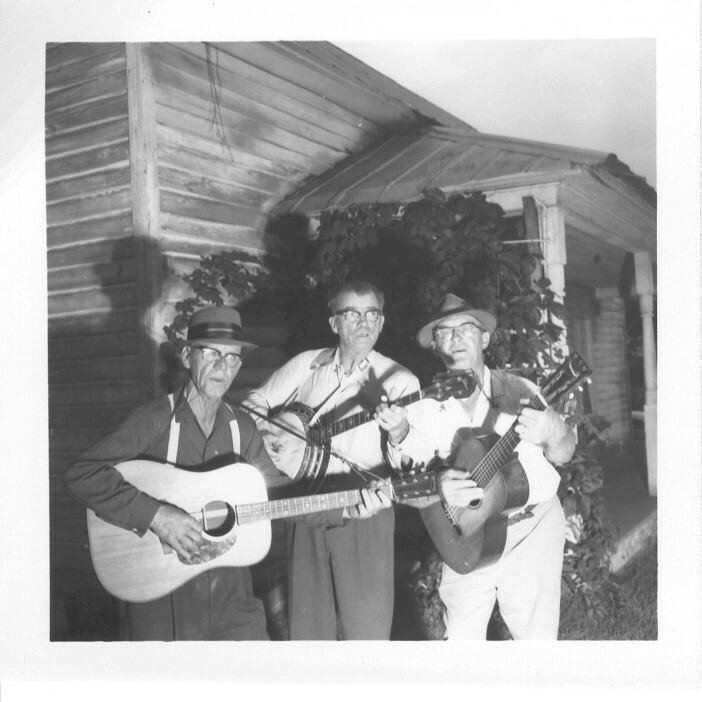 Known in his lifetime as “The Minstrels of the Appalachians” and “The Squire of South Turkey Creek”, Bascom Lamar Lunsford was a man of multiple endeavors, with a calling to preserve and entertain with the folk heritage of the Appalachian mountains where he spent all his busy life. 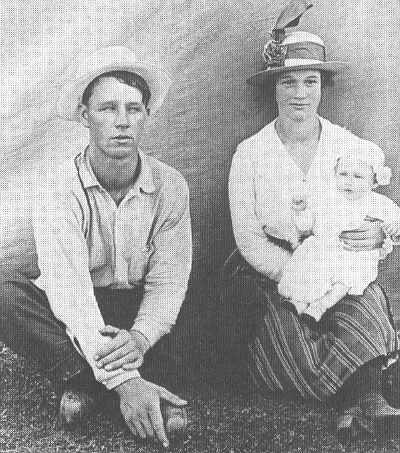 Born in 1882 in Madison County, North Carolina, he was raised in a middle-class family which put education and arts above all things but stayed close to the soil and the traditional values of the Southern mountains. Bascom would be at ease all his life both with urban and country people, making a bridge between both worlds, the old and the new, the entertainment and the scholarship, the stage and the living-room, the church and the dance floor. He claimed that he visited more homes in the mountains than anyone, and thanks to his early occupations of fruit tree seller and beekeeper, he knew well the backwoods people, who were the good musicians and singers and managed to collect hundreds of songs, tunes and tales from them. Working officially as a lawyer, he nevertheless devoted most of his energy to promote musicians, organize festivals, record and collect folk music with a zeal and passion that was legendary. 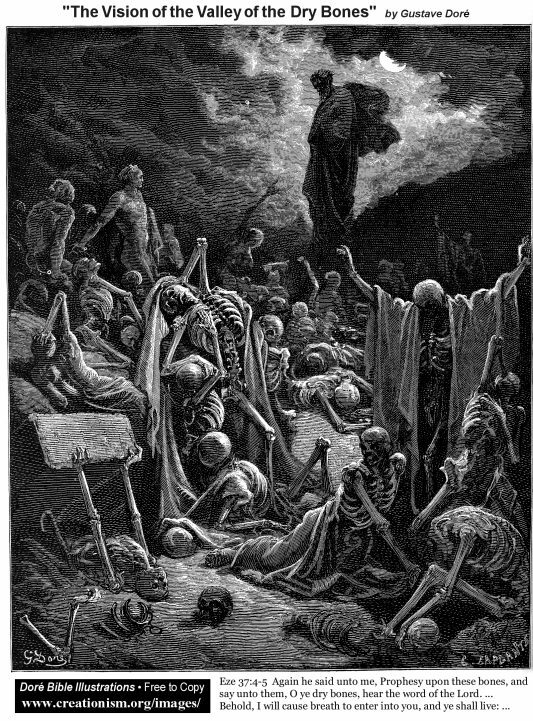 He “would cross Hell on a rotten tail to get a folk song”. His major achievements were the Mountain Folk and Dance Festival he created in Asheville in 1928 (and sill running today!) 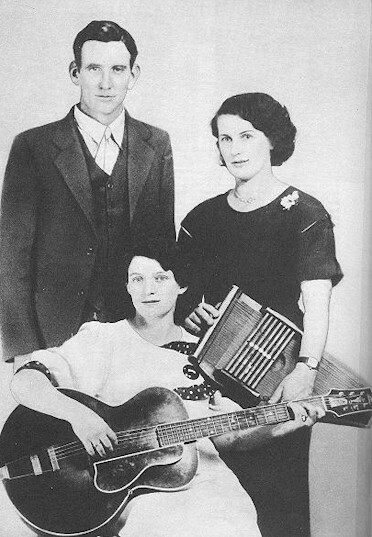 and the impressive number of folk songs and tunes he recorded for the Library of Congress (more than 300 items). Through his work with the festival and his recordings, he had the ambition to restore the pride and dignity of Southern folks and their music and keep this traditions alive against all the threats of modernity . 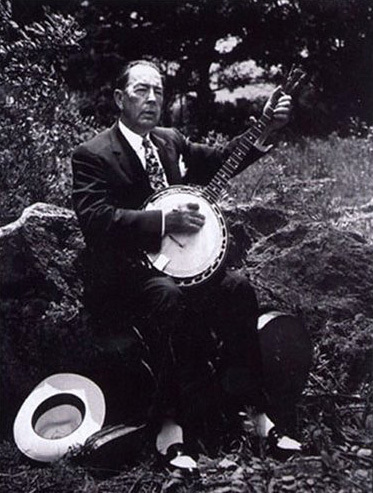 With his five-string banjo and his impeccable suits, his impressive memory and love of his fellow-man, he indeed managed to be an incredible promoter and entertainer of folk music, years before “Folk Revivals” of all kind. 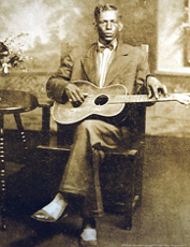 When young urban people from the northern cities became interested in Southern music in the 1950’s and 1960’s, his attitude was often conservative and suspicious of the “outsiders”. He had a strong and personal vision of what was “authentic” and what not, even if he had to accept some new trends and changes along the years. His own performance style never changed much during the 30 years he recorded for collectors or records companies. 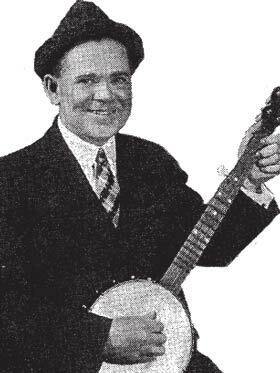 With his simple but effective two-finger style picking on the banjo and his powerful and mannered voice, he was right in the middle between rougher mountain pickers and the more sophisticated folk singers like John Jacob Niles. 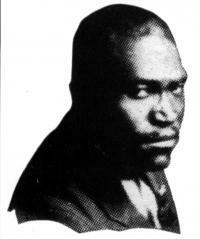 He was first recorded in 1922 and 1925 by scholars Frank C. Brown and Robert Winslow Gordon on cylinder discs. 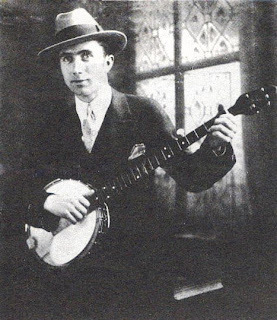 The previous year, in 1924, he made his first commercial recordings for the Okeh company, recording “Jesse James” and “I wish I was a mole in the ground” (a song he would record again in 1928, and will be the subject of a future post…). I never heard this 1924 recordings as it seems they never were re-issued so if someone has a copy and can digitalize them, it would be greatly appreciated…. 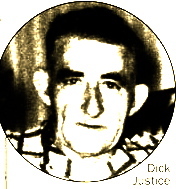 He recorded again two other sides for Okeh the following year, this time with Blackwell Lunsford (a brother maybe?) on fiddle. 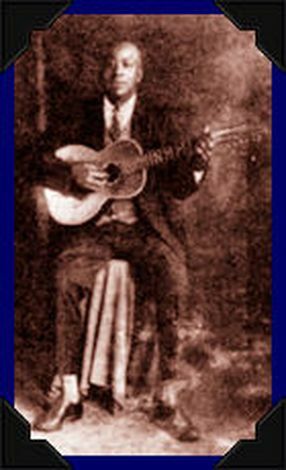 His biggest commercial recording session held in Ashland, Kentucky in 1928 for the Brunswick label where 12 sides were recorded. 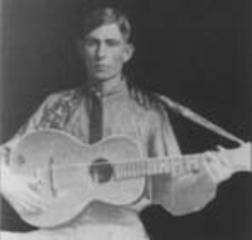 Most of them were his versions of old-time mountain songs but it also included two pieces he wrote himself, both songs dealing with the subject of moonshining: The first one,”Old mountain Dew” was maybe his most well-remembered song, one that became a standard and entered the folk tradition. 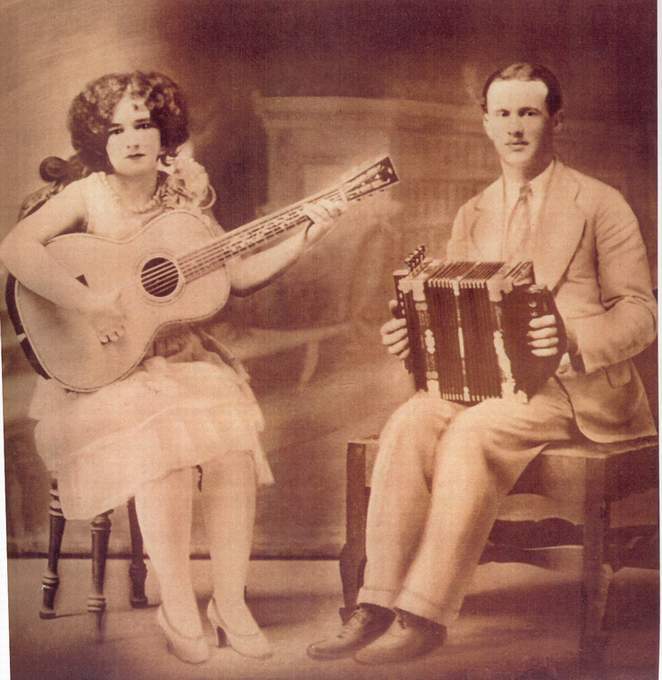 The other song, “Nol Pros” Nellie, was a parody of the famous folk song “Darling Nelly Gray”. “Nol Pros” is a legal term meaning that the charges in the court are not going to be pressed. 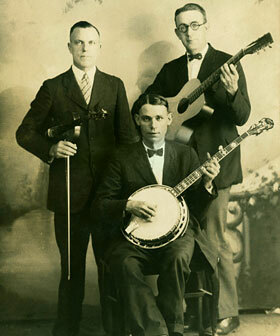 The “Nellie” of the song is a moonshiner who has fled the law. Unable to locate her, the authorities had to fill a “Nol Pros”. 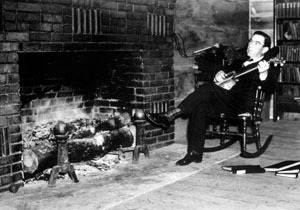 Bascom’s last commercial recordings on 78rpm records feature his story-telling and humor on two narratives, one, “Speaking the Truth” is a parody of a church sermon and the other, “A Stump Speech in the tenth district” is a parody of a politic speech, with a musical introduction by The Skillet Lickers. Bascom would record hundreds of items for the Library of Congress including ballads,songs, fiddle tunes,tales, jokes,singing games,hyms and religious songs,etc…;the whole gamut of the Appalachian folklore he collected during all these years visiting folks in the mountains and organizing the Asheville festival. He called this his “Memory Collection” and it’s maybe the biggest collection in this field. 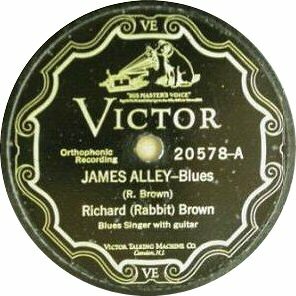 He recorded first in 1935 on aluminium discs and then in 1949. 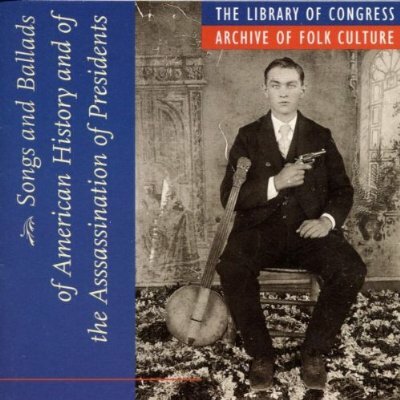 Only a few of this performances were released on commercial discs, and you can hear about 14 of them (it includes also 5 sides from the 1928 Brunswick recording session) on a Smithsonian/Folkways cd called “Ballads, Banjo tunes, and Sacred Songs of Western North Carolina”. 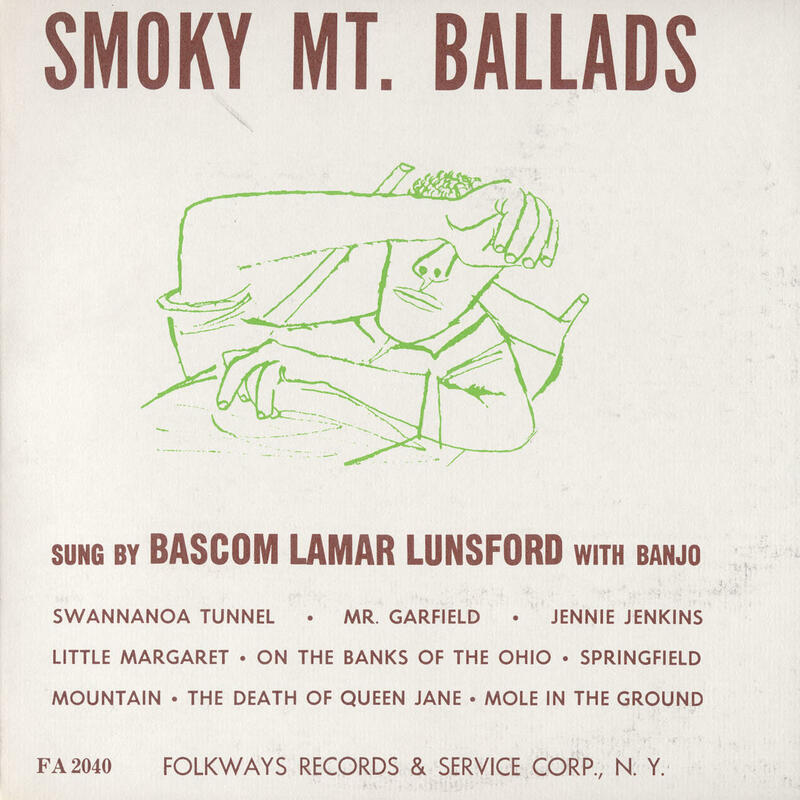 Other commercial recordings includes a 10-inch lp called “Smoky Mountain Ballads” recorded in 1947 but issued in 1953 by Folkways Records (Buy it here from Smithsonian/Folkways), “Minstrel of the Appalachian”, a Riverside lp recorded in 1956 by folk singer and collector Paul Clayton (Out-of-print but available for download on this great blog here). 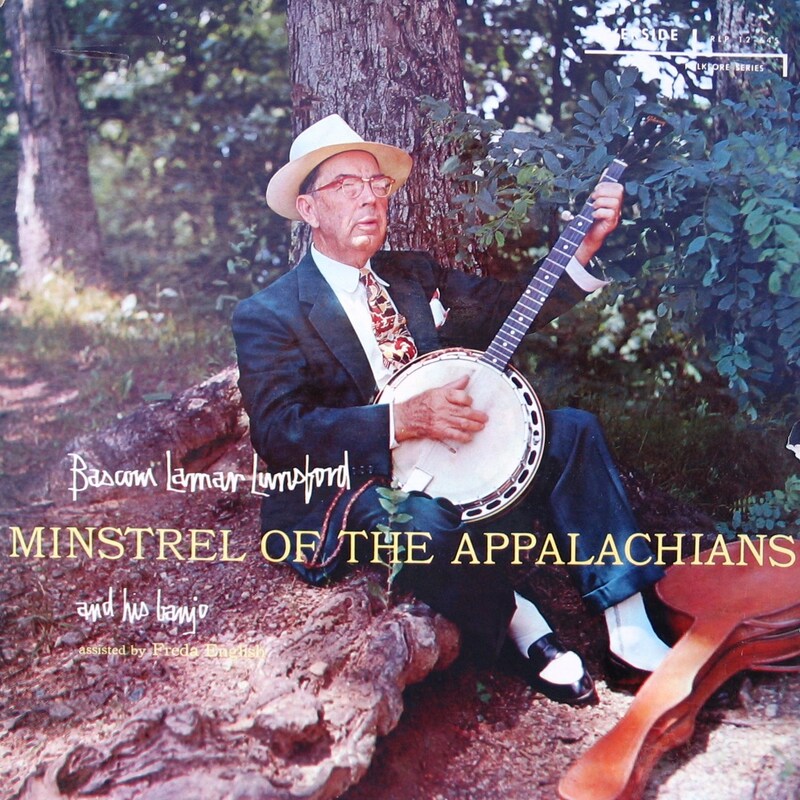 -For anyone interested in Bascom Lamar Lunsford, i strongly recommend the book “Minstrel of the Appalachians-The Story of Bascom Lamar Lunsford”, his biography by Loyal Jones. 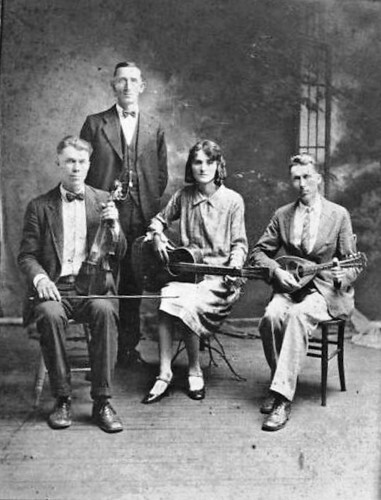 In addition to the whole story of Lunsford’s life, there’s a very complete discography, including a listing of all the items recorded for the Library of Congress and some lyrics and sheet music for Bascom’s songs and fiddle tunes. When the Lord came and took him back to heaven alive. I saw that light come down. When Paul prayed in prison, them prison walls fell down. I saw the light come down. When Moses saw that a-burning bush, he walked it ’round and ’round. Dry bones in that valley got up and took a little walk. The deaf could hear and the dumb could talk. Adam and Eve in the garden under that sycamore tree. 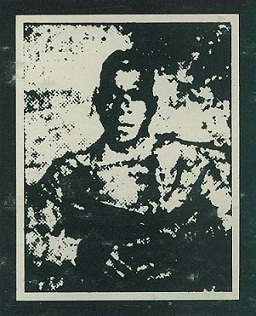 I have to say that Bascom Lamar Lunsford’s Dry Bones is one of my favorite performance on the Anthology, the combination of Lunsford’s banjo picking and his unique mannered voice blend so perfectly on a biblical song that sounds like it comes from the african-american minstrel tradition of parodies of religious songs, telling biblical stories with an humorous twist. 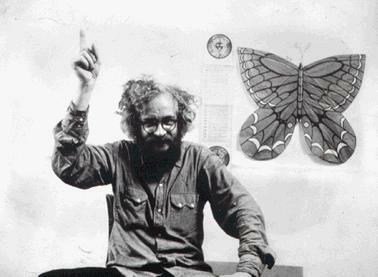 -I didn’t found other versions of the “Dry Bones” Lunsford sang on recordings of the same period but some contemporary artists made their own version of Lunsford’s song (and in the case of John Fahey, a complete reworking of the tune). Thank you so much, you overwhelm us. It’s hard to find time to listen to all of this great music. YES! Thank you. I’ve been waiting for the first Bascom Lamar Lunsford post! My family are natives of Madison County.. I am a graduate of MHC and have attended the festival there. I am looking for information on a Catholic sister that did work in”Times past in Madison county with the last name Lunsford…Can anyone help me ???? This is a fine post as usual. However, the final collection of the music won’t open in WinZip. I think it’s because of the colon between “Lunsford” and “Dry Bones”. Can you fix that perhaps? Thanks. Thank you very much. Another great post of authentic Americana! 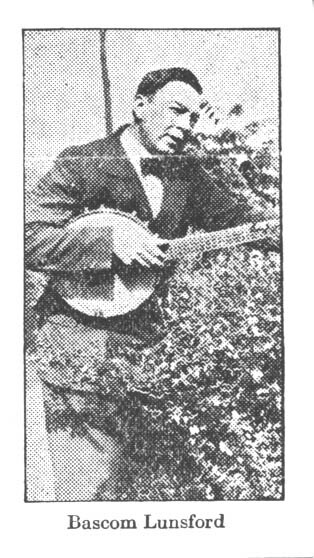 As far as I know, Bascom was using an up-picking technique on the banjo, with just index, thumb and a brush in between. “Dry bones” is played in the G tuning gDGBD. Who wrote the Missionary Quintet version of “Dry Bones” and do you know of any groups that have recorded versions of this song? I heared a reprise of this song back in 1992. On that Album, there is also a version of “Joshua fit the battle of Jericho” as well as the song “My brothers and Sisters(Promised Land)”.Do you know anything about the group and the album I am talking about? Been searching for a long time now.